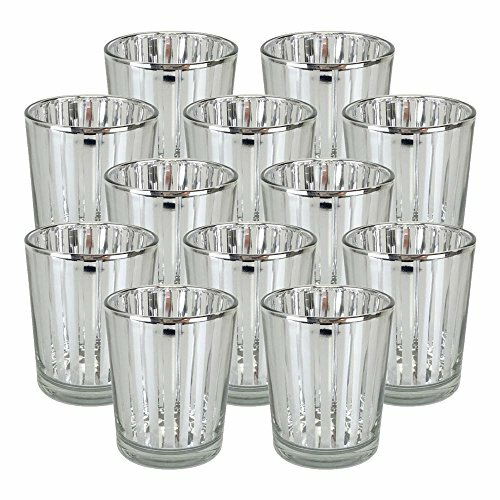 Add a warm glow and tasteful elegance to any home or event décor with our Glass Votive Candle Holders. Adorn your dining room tables with an array of metallic finished colors, subtly enhancing the natural light of a tealight candle and your home's colors. Come holiday time, embellish your mantelpiece with an assortment of Christmas Metallic Votives and garnish with a lit up garland and sprigs of holly. Our antique Mercury Glass Speckled colors make for the perfect addition to any trending farmhouse style interior or to tie in the rustic appeal of a mountain cabin. Whatever style of home, our Glass Votive Candle Holders are the perfect accent piece to make a house feel like a home. NOTE: Wax Tea Light Candle(s) are NOT included. If you have any questions about this product by Just Artifacts, contact us by completing and submitting the form below. If you are looking for a specif part number, please include it with your message.